(NaturalNews) In response to vaccine injuries linked to the HPV vaccines Gardasil and Cervarix, 12 plaintiffs in Japan plan to file a class action lawsuit against the Japanese government, Merck and GlaxoSmithKine after June 2016. The plaintiffs are seeking answers about why they were not told about the HPV vaccine risks before they received the vaccination. As it currently stands, Japan's Ministry of Health, Labor and Welfare has advised local governments not to actively promote HPV vaccine use. In fact, the health ministry reversed their HPV vaccination recommendation in 2013 after HPV vaccine recipients began experiencing horrible side effects including everything from paralysis to short-term memory loss. But despite the fact that Japan's health ministry withdrew their HPV vaccine recommendation and Japanese girls have experienced adverse reactions after receiving the vaccination, HPV vaccines are still on the market in the country. You read correctly – they're still available in Japan; girls can opt to receive the HPV vaccine if they are so inclined. However, vaccine providers and doctors must convey to these girls that getting this shot is not recommended by the health ministry. Enter the aforementioned lawsuit where plaintiffs are demanding to know why they weren't informed of the negative side effects of the HPV vaccine prior to getting it. While the pending class action lawsuit demonstrates that people are taking a stand against vaccine violence, the sad reality is that such legal action is unheard of in the United States. In short, current U.S. federal law mandates that no one is able to directly sue a vaccine manufacturer in civil court after a vaccine injures or leads to the death of an adult or minor child. The National Childhood Vaccine Injury Act of 1986, which allowed plaintiffs to sue drug companies in the event they were denied federal compensation for vaccine-related injuries, is a thing of the past for Americans today. Instead, they can only sue the Secretary of the Department of Health and Human Services by filing a vaccine injury claim through the Vaccine Injury Compensation Program. As you might imagine, it's a process filled with loopholes and heaps of paperwork that typically creates nothing but a giant headache for those impacted by the side effects – side effects which are linked to a variety of horrific health problems. 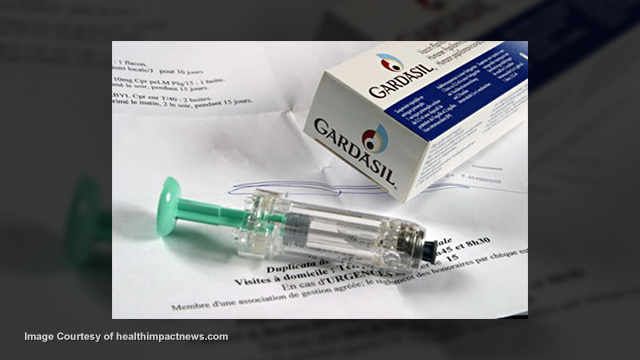 For example, according to the Vaccine Adverse Event Reporting System, 28 miscarriages were once reported by pregnant women who received the Gardasil vaccine. However, the FDA thought that was normal, stating that such a miscarriage rate is representative of the general population. As such, the FDA didn't push for any further investigation into the HPV vaccine, which is made by Merck. There's also the instance several years back in which six young girls died after receiving shots of GlaxoSmithKline's Cervarix vaccine as part of a trial in India. As a result, the government there immediately stopped all such trials. Again – this is unheard of in the United States, where the HPV vaccine has been linked to over 100 deaths and thousands of adverse reactions. Clearly, the wise choice is to not allow your children to receive the HPV vaccination. The risks simply aren't worth it. Remain educated about vaccines and don't allow the government to dictate your health decisions. In the event you or a family member develop the HPV virus – approximately eight in every ten women who have been sexually active are projected to contract HPV at some stage of their life – consider turning to healing foods that can protect cervical health. Most HPV cases clear up on their own anyway. Furthermore, it's been found that foods such as macadamia nuts, mung beans, curcumin and turkey tail mushrooms can help maintain good cervical health and improve immune function.